Both this volume and the previous one were picked up at Half-Price, which has a pretty good selection on the more obscure chunks of history. Over the past couple years, I've picked up books on Hittite civilization, prehistoric Europe, the age of fighting sail, and these two books. And it makes sense for Half-Price's business models (purchases from individuals but more often overstocks from companies) that books about the more esoteric eras show up here in neat, even piles. Not that these books were failures - only that they never attained the escape velocity necessary for them to see wider distribution. So, the esoteric area in question is London before the American Revolution. It is one of those forgotten periods, akin to antebellum America - those data points that lead directly up to the next big event are noted, while most of the others is ignored. Flavell's book captures the feeling and flavor of the era for being a colonial in what was then the most important city in the world. When you said a American from the colonies, it included not only the 13 that we learn about, but the British West Indies as well. All were considered as one general group. When you said America from the colonies, you were probably talking about southern planters. They were there are lot, because they had the money and the need to be trading in London. They were also noticeable for their black slave attendants. Slavery was declared unlawful in England in 1772 on what the judge in case had hoped to be a narrow ruling (whether a chattel slave could be removed from England against his or her will) that was taken as a general rule. Slaves could as a result declare their freedom it brought to England. Their owners were not so reticent about capturing them and shipping them back to the colonies, and those in charge winked at that as well. Slavery did not get banished from Empire until the 1830s. There were representatives of the northern colonies as well in London, but they were not much more noticed than Brit citizens from the sticks - a bit backwards, but still considered British. There was no real idea of an American mindset - Americans were Brits from further away. An exception were American from the New England area. They were just considered nuts - stiff-necked religious fundies with radical ideas. Once they started in on property damage and firing on British soldiers that opinion just crystallized. 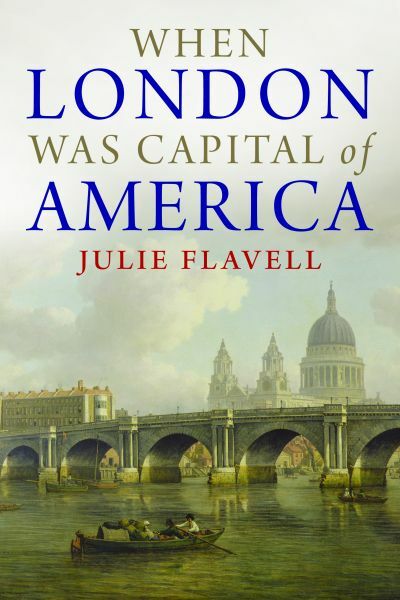 Flavell deals with representatives from each of the American regions (though not from the Indies - that would have interesting) / Much of the early going centers on Henry Laurens of South Carolina, whose letters and diary represent a confluence of the American Dreams in London - His own plans gets us an eye into business in the City, his plans for his sons tell us of education, the fate of a niece portrays the woman's role and perils, and his slave, Scipio in the colonies, renamed Robert in London, shows both the slave and servant experience. Laurens' works reveal a belief in the world overturned by later events. The other mainland colonies have representatives as well. 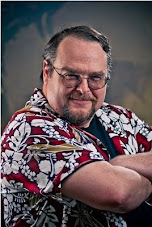 Stephen Sayre is a fast-talking Yankee from Long Island seeking to ensconce himself in the British merchantile. Ben Franklin captures a few chapters, and comes off as a man who, though lionized in America and France, sought to fit in as well in Britain, such that his measured responses made one obeserver label him "The most cautious man in I have ever seen". Their stories are trying to fit into the most powerful city in the world, and with the coming revolution the choices that had to be made when their land of their birth was no longer connected to the greatest city in the nation. To those living in this pre-revolutionary time and place, there was little clue that things would change and change dramatically, and the book captures that era extremely well.